Recently we've had a couple of similar e-mails regarding buying a second-hand Nissan Skyline and what sorts of things to watch out for. We thought it would be a good idea to start a Buyers Guide that we can constantly keep updated for you all. How do I make sure I'm getting what I paid for, and how do I know what I should check? This is easily the first thought most people will have when they make an appointment to see a car they're considering buying. First off, let's start with the list! This check list should serve as a general check list, it is by no means 100% applicable to every situation, but more of a list of common points on Skylines that an experienced owner would know to look at. (If you can think of something that should be on this list please leave a comment below and we will add it to the list for everyone's benefit). Of course this list would not be complete if we did not mention the Skyline Owners Club Buyers Guide, which has been the go-to list for many considering later model Skylines. For anyone considering one of the new GTR's I would recommend our buddy, Sean Morris' GTR Buyers Guide over on gtrusablog.com as he covers the new models in depth. Notice: This guide by no means replaces the necessity of a proper inspection from a trained mechanic, but it serves as a good starting point to determine if a car is worth paying for an inspection. Check that the person selling the car does indeed have all the paperwork and holds the legal right to sell the car, including a valid drivers license, insurance papers etc. Check that the title of the car is free and clear of any and all unpaid fines, duties, taxes, and liens! A hidden lien from a seller could result in the car being confiscated from you and no compensation, be very careful of this. Ask for all the history of the car in receipts and as much as one possibly can, verify with any agency that will do it for you, that the vehicle has never been written off, or reported in an accident. Verify that the VIN stamped into the firewall does indeed match an un-adulterated blue tin plate, rivetted to the firewall with white plastic rivets. If the numbers don't match exactly, or the blue plate is scratched, walk immediately as there's a good chance the vehicle has been chopped and/or stolen. Never go to see a car at night, always go during a (sunny) day, you want to see the true condition of the paint. Stand at all angles and distances around the car, you're looking for any sign of something that doesn't fit quite right, or line up perfectly. A door seam that is wide at the top and narrow at the bottom could mean sagging hinges, which will require adjustment to avoid damage to the door sills, as example. If you find something off, it's not the end of the world, we just want to know why it's slightly off. If you suspect an area of having been repaired after damaged and are concerned about a seller hiding this fact, placing a magnet in a sock and moving it over the suspect area will provide slight insight into if a panel has been done with body filler a lot. The paint condition should match the year of the car unless it's been repainted. Check around the window edges for signs of taping, if the car has been repainted poorly it will have rough spots on the edges by the rear windows, as those are often not removed for a quick re-spray. The most important part of the car is the engine, when ever you're buying a turbo car you will want to make sure above all else that the compression is good on the engine and that there are no weird noises, clanks or bangs when the engine is running, have a look at the Compression Test How-To Guide. If compression is good, then it is worth checking the remainder of the list, let's continue on now with a look at the brake, suspension and steering components all around the wheels. 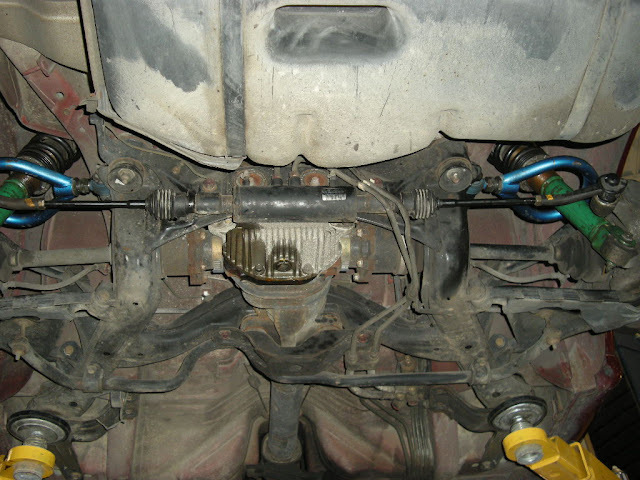 Check all ball joints, tie rods and tables for play, when the car is lifted in the air on a jack, all 4 wheels should be firm and not have give in any one particular direction. A knocking sound while turning or driving over a bump will be a sign or a worn table or bushing. 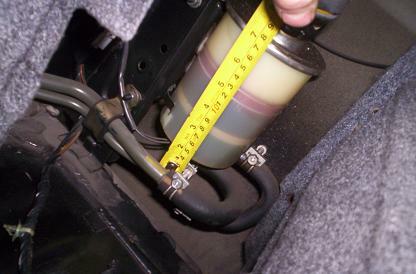 Check the suspension struts and coils for damage and leaks, press down with your weight on each corner of the car to see that the suspension system gives and rebounds as it should. On track oriented cars, you can expect a stiffer suspension with less give perhaps. Check to see that the brake disks do not have excessive grooves carved into them from over use, any cracks or chunks missing. Check that the brake pads have sufficient life left in them, the thicker they are the less they've been used, same applies for disks. Calipers should not have any broken parts, look to see that the spring retainer clip is still in place and that there is no fluid leaking from the calipers. Check the rims and inside the rim barrell for cracks, dents, dings, there's bound to be some but it's better if you are aware of what you're getting in to before you buy. Tires should have at least 1/8th tread depth remaining and be of a good tread wear rating for a Skyline. Avoid tires rated for anything less than a W.
Turn on the car, the daytime running lights should be on if there have been some installed to comply with regulations. Turn on the Mid beam and the high-beams and make sure they all work accordingly. Next cycle through the fog lights (if applicable), and the 4-way hazard switch with the turning signal, and pressing the brake on and off while a friend walks around the outside of the car to make sure all the lights are flickering on and off accordingly. Interior lighting consist of the dome light in the middle, the two map lights near the front and the lights behind the instrument cluster. Check all the functions of the AC-Climate control unit and make sure the AC still works. It's not exactly worth your time to verify the Odometer reading unless its authenticity can be verified by support with receipts and paperwork, most Skyline's have aftermarket clocks which change the Odometer reading from true factory records. It's not a big deal, as long as you know the rest of the car is good. Check for any signs of leaks, if it's pink it's gear fluid, neon yellow/green is antifreeze, blue/red/yellow could be power-steering fluid, brake fluid or clutch fluid. Check the frame rails for any signs of repair or damage, some minor dents on the rails are not a huge concern as it happens to most Skylines during maintenance and improper jacking. What you don't want to see is extra pieces welded on, or entire sections replaced. Check the wheel wells and every under the car for any signs of rust, especially the rear wheel wells and the trunk/boot. While the car is running inspect the exhaust system for any visible leaks. Look at the condition of the fabric of the seats, the steering wheel, the gear shift knob and the leathers all around, including the carpets. The condition of these items will give you a very good idea of the true age of the car. If they've been replaced with aftermarket components then it's another thing to consider. Pay close attention to anything that has been added on as aftermarket, you'll want to be fully aware of just what you're getting yourself into. In particular, look at the intake, the intercooler, a catch-can, aftermarket turbos, injectors etc. Strut bars are an added bonus to most. To be honest here, the most important thing you can do to check out a car, is to drive it. If you're very seriously considering dropping the coin for it, you better make sure you know what it feels like to drive it first hand. Gear changes should be smooth all the way up and down. The engine should not stutter or hesitate through-out the entire rev range, whether it be on-boost or off. A stock boost of 10 PSI should feel like a really strong pull, above that should feel even stronger. Think lift-off in an airplane similar. This should get most people started, if it meets all these check points then I would suggest following it up with a meeting at the mechanics for a good compression test (unless you've done one already) and then you should be all set! In case you don't have a large financial budget to obtain your vehicle, you may possibly see that second hand vehicles are a fantastic promotion and make use of the cash you save to pay other expenditures or even as advance payment preferably. Hey great read. Im looking for a little help? Looking to buy a R32 near me. And i am concerned now after this read with the VIN plate. Would the vin plate seen in the following link be considered as scratched off?? wow really interesting example. It LOOKS fishy because the white paint on the supposedly embossed letters/numbers clearly is suspect. BUT it could just be roughed up, really hard to say for sure. I would advise you to head to one of the forums ask someone to run a FAST VIN check for you, see if the paint code matches the color of the car, the year etc... you can also call a Nissan dealer and ask them to look up anything they can about the VIN. Thats what i was kind of thinking. Which forum(s) would you suggest to post it on because i dont have a clue where ? Usually there's a few good ones per each country actually, USA/CAN/AUS/NZD/EU/SAUD/UK/RU/JP etc all have really good forums, scroll to bottom of this site, click "External Links", you'll find some forums linked there. follow up with what you discover, very intriguing. GL. You might want to see this vehicle safety inspection checklist to add to your guide.